It’s hard to believe that it is Tuesday, which is actually our third day of operating. It has been a blur of activity since I arrived her in Suva last week. Adult patients had already been screened and a surgical list organised in advanced, however we were unable to complete our paediatric screening until shortly before the surgical team arrived on Saturday night. First order of priority for Sunday was our case conference where, in conjunction with the Fijian doctors, we determined the last of the patients for surgery. In total, 31 patients – a combination of adults and children – have been selected for surgery for this week. While that was going on, the rest of the team were busy setting everything up, and unpacking the many, many boxes of equipment and supplies that had been transported to Fiji. It is amazing to watch the hive of activity and efficiency of everyone meeting each other, beginning to work together, and pitching in with so much enthusiasm. In only a few short hours, the first operation had begun. 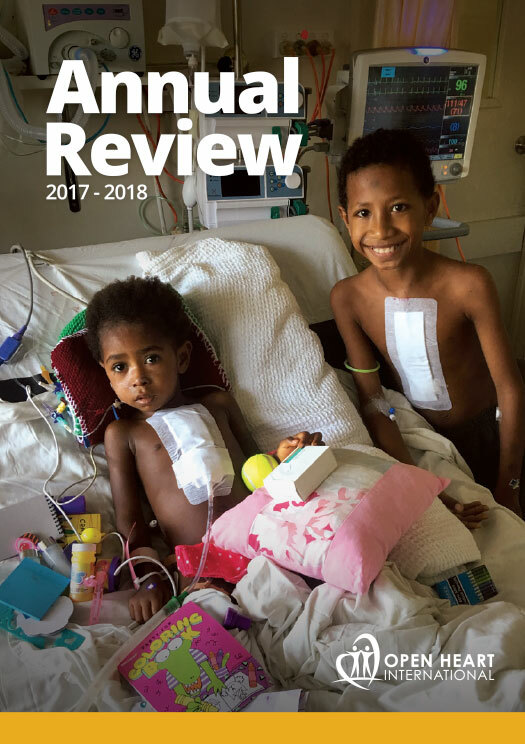 As Tuesday begins, we have already operated on 8 patients – the ICU and the Ward are beginning to fill, and the finely oiled machine that is Open Heart International hits top gear here in Fiji. As a Project Coordinator, as we hit top gear my job is to ensure we can stay there – doing all the trouble shooting of the inevitable hiccups and challenges that naturally come up. We’ve already met some amazing patients and families – I’ll share some of their stories in future blog posts.